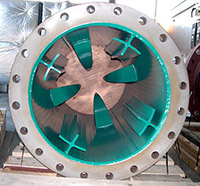 Flow Straightener Model 3000 Fin-like mixing vanes create vortices to gently blend the incoming flow of water. 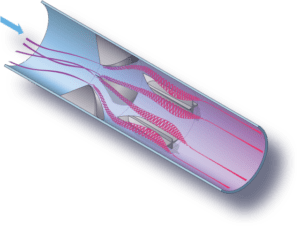 Then wing-shaped vanes flatten the vortices into a straightened or conditioned outflow for a fully developed velocity profile with minimal headloss in less than 8 pipe diameters. In parts of the world where water is rationed, savvy customers want to know they’re getting every drop they pay for. If the water utility can’t prove their billing is accurate, they may face volatile public meetings like a customer in the southwestern US did. The problem was real: if water flowing into the meters was disturbed by swirl or turbulence from pipe bends or uneven pressure, meter readings could be inaccurate. Customers wanted reassurance from their utility company. The utility took two steps to resolve the problem. First, they brought Westfall’s CEO, Bob Glanville, to their next planning meeting. 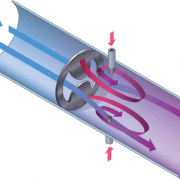 By showing graphic illustrations of test results from Alden Laboratories, he proved that the installation of a Flow Straightener would provide the flow meter measurement accuracy these customers sought. 24″ Flow Conditioner Model 3000 prepared for an installation in Texas. View from the downstream end shows the wing-shaped vanes first, followed by the fin-shaped vanes. 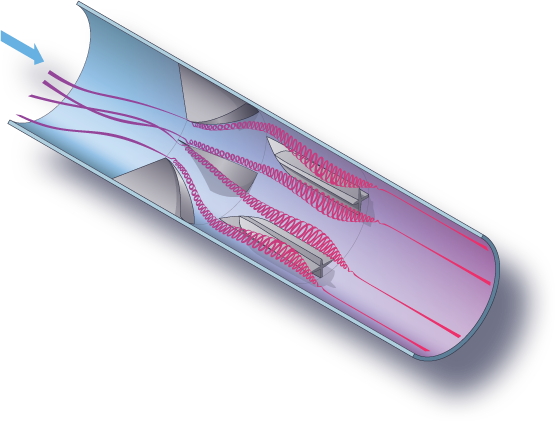 their metering device was free of swirl and turbulence, and had a fully developed velocity profile well before it reached the flow meter. The water utility now installs Flow Straightener Model 3000 at metering points throughout its distribution network. Customers were reassured that the water for which they were billed actually matched the water they received.